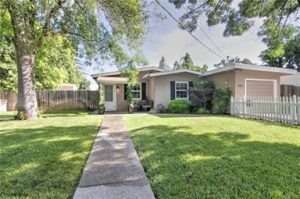 Major curb appeal with modern colors, large front yard & picket white fence. Well cared for 3 bed 1 bath home near the Lindo Channel and Bidwell Park! Open floor plan living room, kitchen and dining nook with updated kitchen cabinets, spacious bedrooms & updated bath. Attached 1 car garage & huge back yard for entertaining. Producing vegetable garden, completely landscaped back yard with raised deck, new concrete patio, decomposed granite walk way, & fresh exterior paint! This home is move in ready & very well maintained.